Today marks the first day of fall. By and large fall, or autumn if you prefer, is my favorite season. I enjoy the changing leaves, and the chill in the air, along with the various pumpkin flavored items that hit the grocery stores and restaurants this time of year to mark the season. Of course having lived in Florida and Texas for the majority of my life, I usually have to settle on pumpkin flavored ice cream and chilled apple cider since for the most part temperatures are still too hot for changing leaves and breaking out the fall coats. 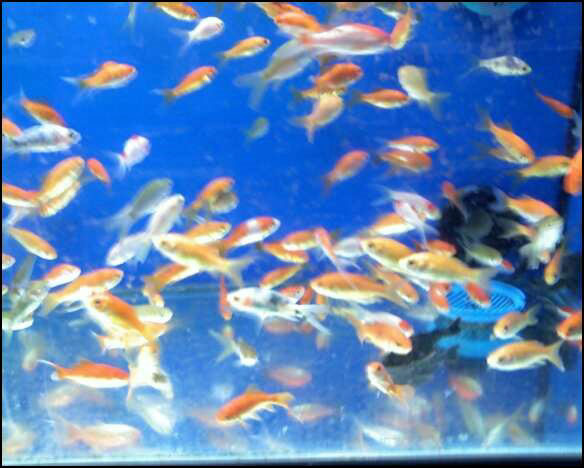 But when I lived in Maryland as a much younger version of myself, I would visit the local apple orchard and pumpkin patch each year on school trips and jump into leaf piles that were above my head. 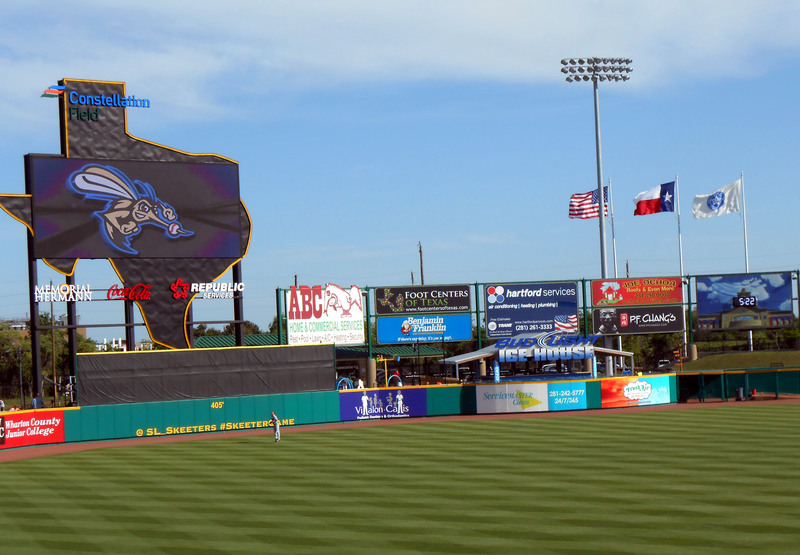 The Sugar Land Skeeters may be the road less traveled in the Houston area baseball scene but word is quickly spreading as the success grows. I may yet return someday to a land where autumn and other seasons exist but for now I will take part in the two Texas seasons of hot and not quite as hot. So on the last day of summer with temperatures still in the low 90’s, I decided to mark the occasion with a baseball game. After all baseball players are often referred to as the Boys of Summer so what could be more American than baseball to mark the end of summer? 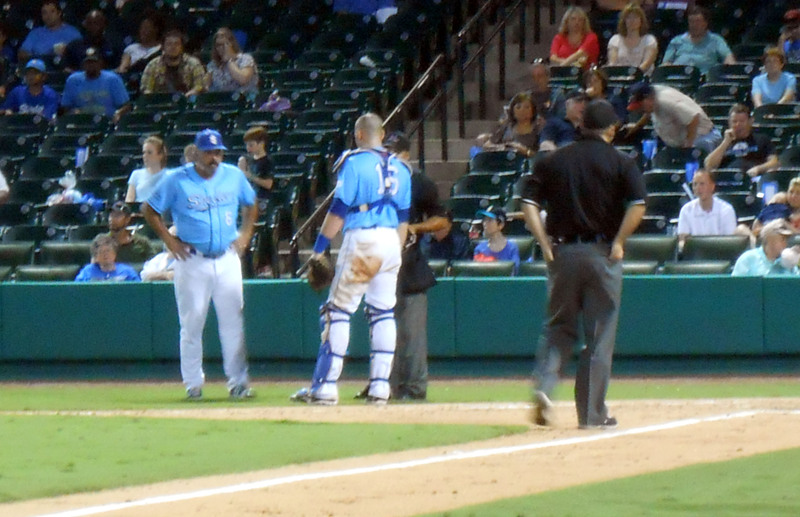 When it came down to picking where to catch this fall eve last gasp of summer game I had the choice between the Houston Astros or the Sugar Land Skeeters since both teams were in town. In true Robert Frost poem fashion it was much like I was standing before two roads, one well-traveled and one less traveled. Were I to choose the more traveled road of the Astros, I would be watching a meaningless game in a mostly empty air conditioned Ballpark that seats 45,000 or so as the Astros went through the motions of finishing out another losing season that cannot end soon enough for players and fans alike. 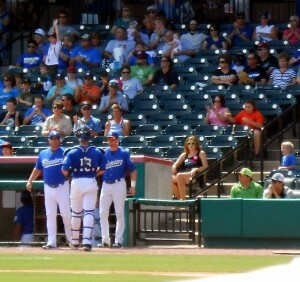 Fans Gathered to see the Sugar Land Skeeters play the York Revolution on the final day of summer Sunday. On the other hand, were I to choose the less traveled road that led to the Skeeters, I would be watching a game outside as nature intended in a much more fan-filled Ballpark as the Skeeters battled to clinch the Second Half division title. 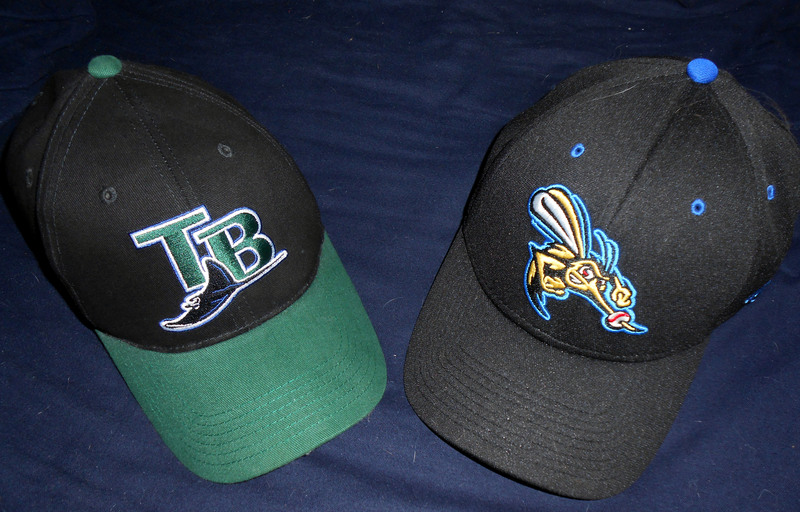 With choices like that it was easy to pick the Skeeters of the Atlantic League of Professional Baseball over the Major League Baseball Astros. That is not to say that I have completely given up on the Astros, but with some of the front office moves made by the team lately it becomes increasingly more difficult to justify spending MLB type money to see a lesser product. I will continue to wish the Astros well in their rebuilding effort but for now will be voting with my wallet by not supporting them in person until they make more strides towards being a competitive team. That will not stop me from visiting Minute Maid Park next year to see my Orioles and Rays play however. While many of the recent players for the Astros seem to be in over their heads at times as they try to establish their careers many of the players for Skeeters are just trying to hold on to their careers a little longer. 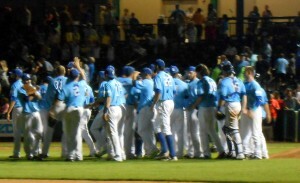 The Sugar Land Skeeters are heading to the playoffs for the second straight year. 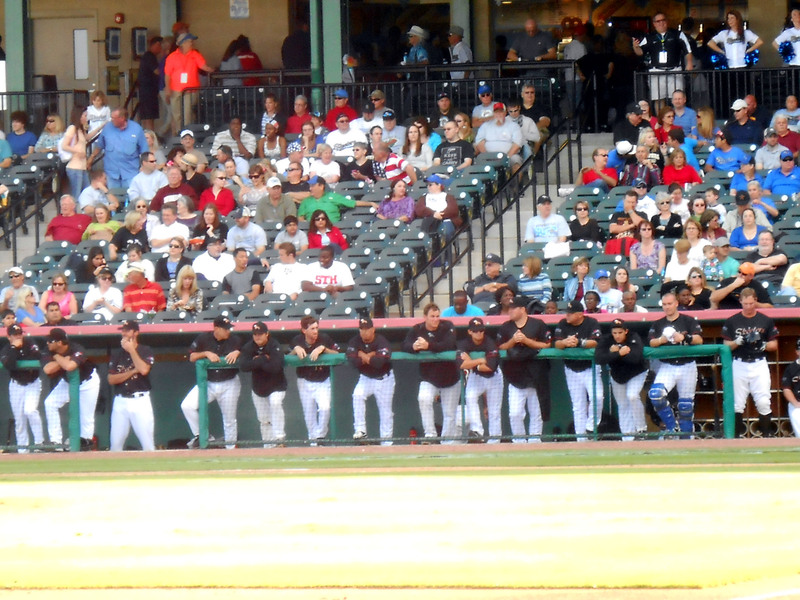 Players in the Atlantic League for the most part will not be confused with Major League All-Stars, with the exception of Scott Kazmir who parlayed a stint with the Skeeters into a return to the MLB All-Star Game. Rosters are comprised of former Major Leaguers and other players who could not find a place on an affiliated team roster for whatever reason. 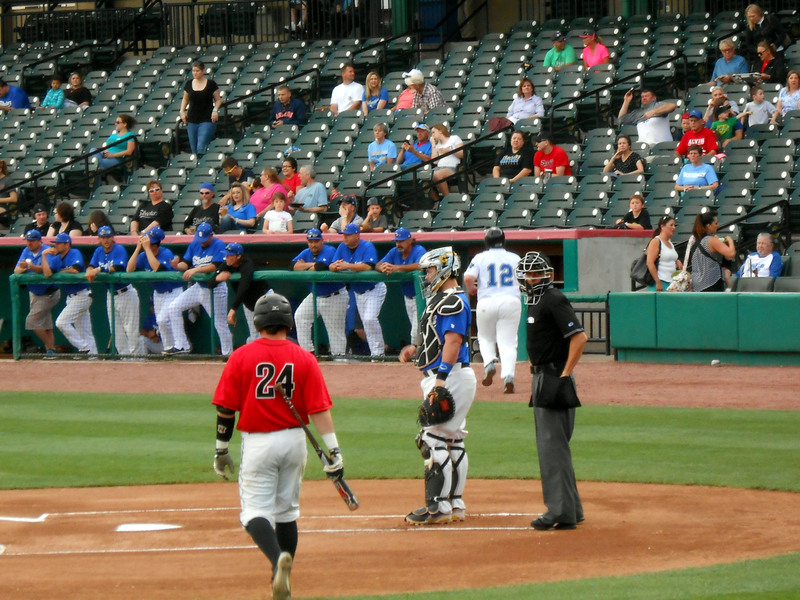 The play in independent leagues, such as the one the Skeeters call home, can sometimes be sloppy with routine plays turning into errors on occasion but for the most part the errors even out as both teams are making them. But what the players lack in polished skills they more than make up for in heart and determination. That is not to say that there are not Major League baseball players who play with heart and determination but as a whole those seem to be the exception. 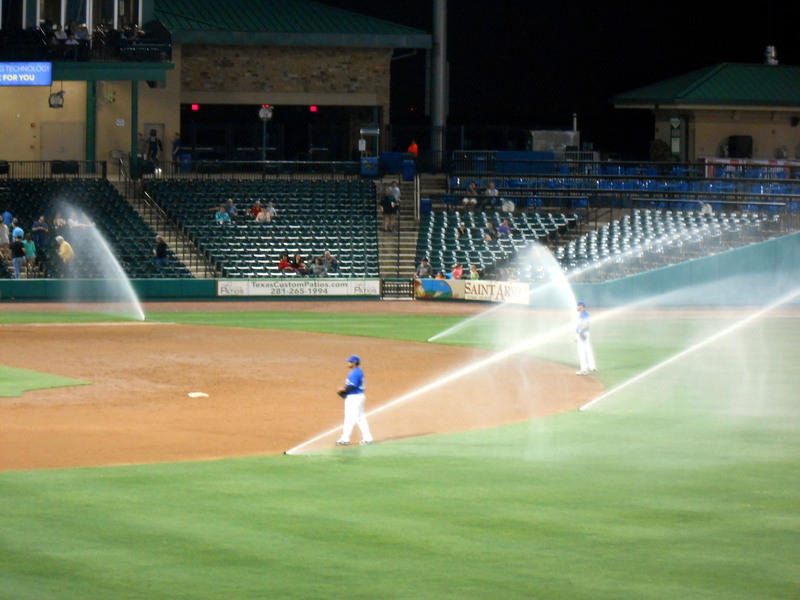 Consider this, with entire team salaries far below what a single Major League Baseball player would make the men who make up the Skeeters roster are playing for the love of the game and the chance to put on a show each night for a couple of thousand fans under the lights. 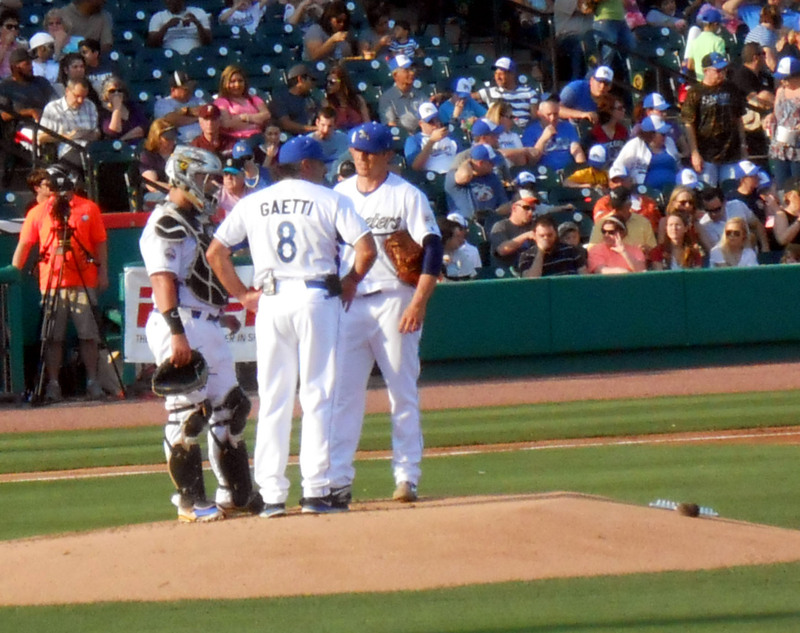 Gary Gaetti has managed the Sugar Land Skeeters for their entire three-year existence. They know that their playing careers are finite but while they can they will continue to play the game that many of them have played as far back as they can remember. 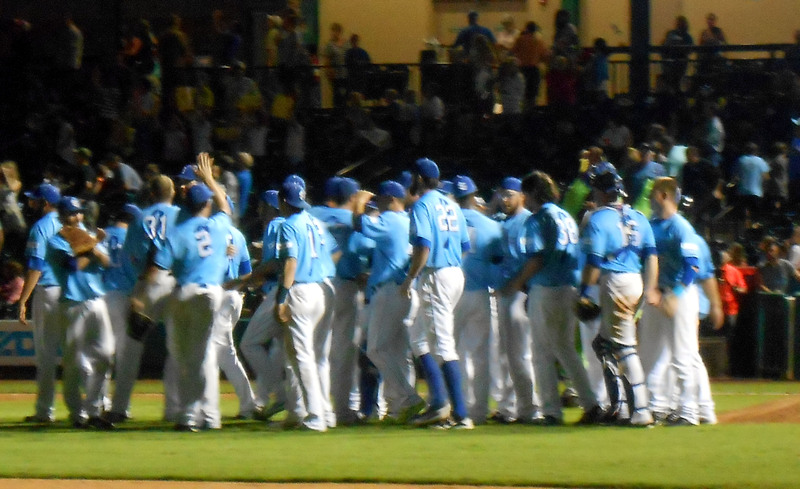 So with these reasons in mind my last day of summer was spent under the sun watching the Skeeters defeat the York Revolution to clinch that division title for a berth in the playoffs. I will take a game with players giving their all on every play over a game with players going through the motions every time. Also, a reasonably priced concession stand does not hurt either. 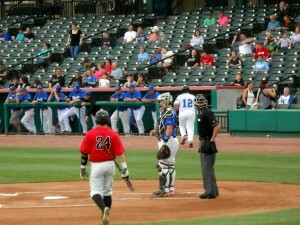 Two game diverged in a field, and I – I took the one where the players have the most heart. And that has made all the difference. Now if you’ll excuse me, I have some playoff tickets to buy. This year marks the 20th anniversary of Michael Jordon’s attempt to become a professional baseball player. 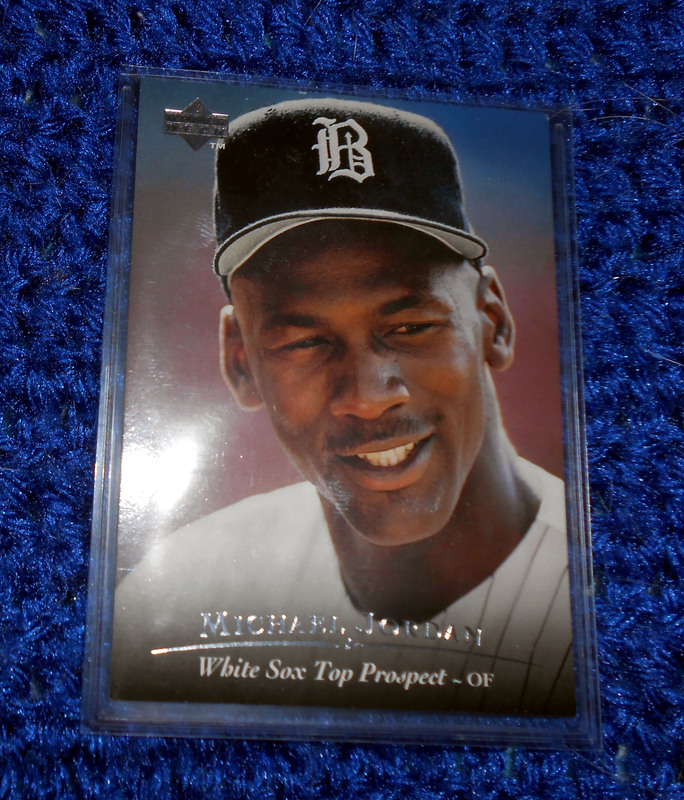 For those who may have been too young to know, or old enough to have forgotten, “Air Jordon” took a stab at being “Ballpark Jordon” during a stint with the Chicago White Sox Double-A affiliate Birmingham Barons. This year marks the 20th anniversary of Michael Jordon’s tenure as a Minor League Baseball player. 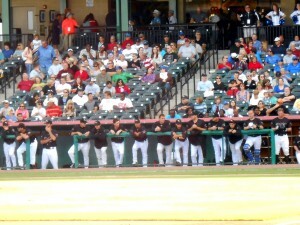 Tracy McGrady is trying to be like Mike and make the roster of the Sugar Land Skeeters of the Atlantic League. As a 31-year-old multimillionaire with NBA titles under his belt Jordon certainly did not fit the mold of the typical Minor League Baseball player but in a gesture of good will towards his new teammates his “Airness” bought the team a new bus to travel all of the Southern League back roads on. Throughout Jordon’s time with the Barons Ballparks across the Southern League sold out as fans crowded to see the future NBA Hall of Famer in action on the diamond. Jordon’s time as a baseball player was also given the Hollywood treatment in the movie Space Jam. When the Michael Jordon baseball carnival rolled into a Ballpark every media outlet in town sent a reporter and a photographer down to capture every swing of the bat and to capture the electricity in the stands. By most accounts Jordon’s baseball career was a complete flop. Or to put it more kindly Jordon was one of the many Minor League prospects who just don’t pan out and have to fall back on another career in order to put food on the table. For Jordon the post baseball career included a return to the NBA and the Chicago Bulls and some more championships. Now, 20 years after the Jordon baseball experiment another retired NBA star is set to try to find extra innings in his athletic career through Minor League baseball. 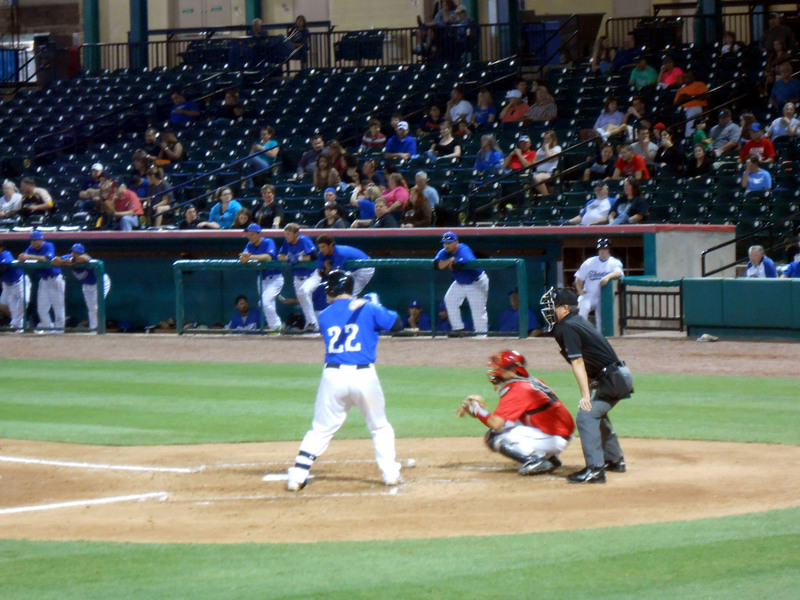 After retiring from the NBA, Tracy McGrady is trying to reinvent himself as a pitcher with the Sugar Land Skeeters of the Atlantic League. 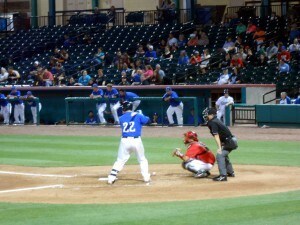 While it is unknown if McGrady will earn one of the 27 roster spots available on the team his presence has already created a bit of buzz around the Skeeters facility. At 6’8” McGrady creates a towering presence on the mound. Former Houston Rocket Tracy McGrady is looking to join the ranks of the Sugar Land Skeeters as a pitcher. Teams tend to like taller pitchers as they allow the ball to have more downward movement in most cases. So from a size and stature standpoint McGrady has the intangibles to be a successful pitcher. 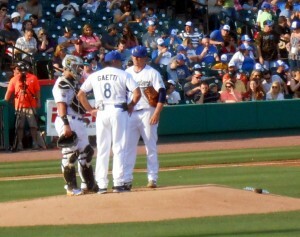 From a marketing perspective the Skeeters, fresh off of an Atlantic League crown, are benefiting from the publicity that comes from a former basketball player turned pitcher. 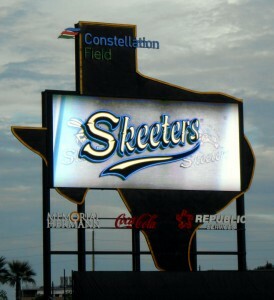 The Skeeters are also the team who lured Roger Clemens out of retirement to make a couple of starts during their inaugural season to stir up some publicity so they know a thing or two about putting on a show. Like Roger Clemens who had both ties to Houston and a Hall of Fame worthy career, McGrady is also quite a household name around town with the local fan base since he was a member of the Houston Rockets. Of course as Michael Jordon showed it is not easy to switch gears late in one’s career and try something completely new. There have certainly been successful two sport stars before but most of them played both sports at a high level throughout high school and college before going pro. Bo Jackson and Deion Sanders are perhaps the most famous two sport athletes and each played both baseball and football at a high level. 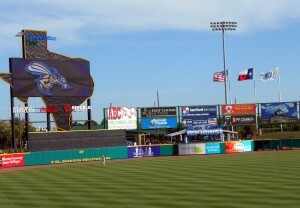 If all goes to plan Tracy McGrady will be up on the Texas jumbotron soon for the Sugar Land Skeeters. But neither Jackson nor Sanders waited until after retiring from one of the sports to pick up the other. I think the world needs another Bo and “Prime Time” to spice things up but I also think the commitments from teams on athletes nowadays would make it difficult for a two sport star to succeed. Russell Wilson of the Seattle Seahawks, and under contract of the Texas Rangers, is the next logical player to be a two sport star but it is unlikely that the Seahawks would want to risk their star quarterback getting injured on the baseball field. Of course Wilson could always decide to go into baseball after his NFL career is over since baseball players on average can play longer than football players. But that brings us back to McGrady and his attempt to turn pro in a new sport. 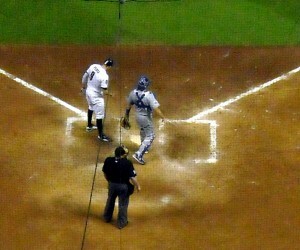 In order for McGrady to make the team he will need to knock one of the existing pitchers off of the roster. Rosters will be finalized next week so it will be known at that time whether Tracy McGrady can add professional baseball player to his already impressive athletic roster. There will be a few Spring Training games between now and the roster deadline to allow him to show his stuff on the mound and for the coaches to decide whether or not he makes the opening day roster. If Tracy McGrady does make the roster for the Skeeters and trades jump shots for curve balls he will join a unique set of players who have enjoyed a second act with a new sport. As another bonus should McGrady defy the odds and make the team is that his battery mate behind the plate will be Koby Clemens, son of Roger Clemens. Now if you’ll excuse me, I am off to watch a basketball player pitch.